Today’s e-cigarettes come in a variety of shapes, sizes, and colors, and there are literally hundreds of vape juices to choose from. It's hard to believe that less than a decade ago, vapers were limited to just a small handful of product options – the times have certainly changed. If you're new to vaping, or you are unsatisfied with your current device, finding the perfect setup these days can seem like a challenge. There are literally hundreds of different vendors and e-cigarette manufacturers to choose from. So how does one even start looking? While your brand options may seem limitless, there are just three main categories of e-cigarettes to choose from: minis, mid-sized devices or vape mods. Selecting which type suits you best based on your personal preferences can greatly narrow down your search for the ideal setup. Sometimes referred to as "first generation" e-cigarettes, minis mimic the look and feel of smoking tobacco cigarettes – hence their nickname, "cig-a-likes." For first time users, minis tend to provide the most desired experience and the most natural transition from cigarette smoking. These basic devices, available in both rechargeable and disposable models, also typically cost less to get started compared to other types; however, they lack when it comes to battery life, flavor options and customizability. 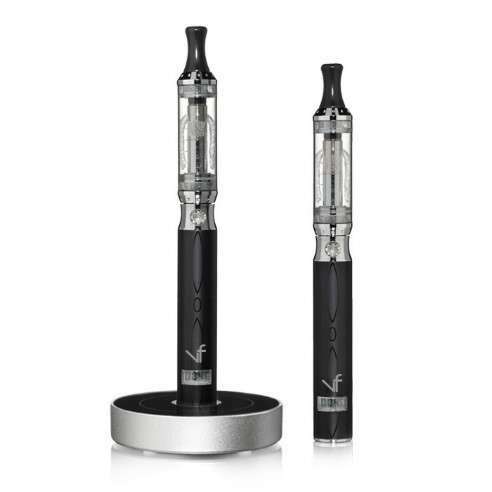 Although we primarily specialize in e-cigarettes for more advanced users, at VaporFi we do sell a mini cig-a-like for users who crave the traditional look and feel of taking a long, smooth drag on a cigarette. 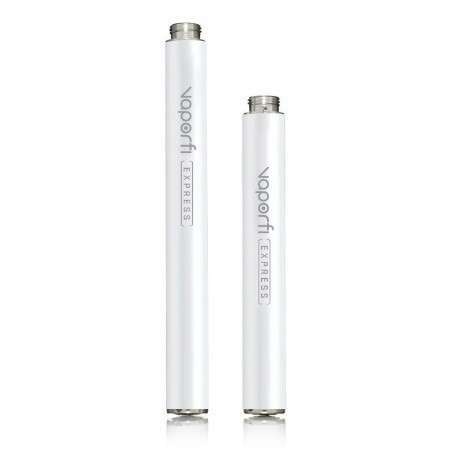 Our comes with a high-capacity rechargeable battery, wall charging adapter, USB charger and prefilled flavor cartridges. Or, if you’re looking for something with limitless battery life, the VaporFi Power Cig Tobacco Starter Kit Bundle has a USB cable that you can plug into your car or computer – talk about convenience! As e-cigarettes became more popular, a demand grew for devices that could offer longer battery life, larger e-juice capacity, stronger vapor production and increased control. This gave rise to the second generation of e-cigarettes, called mid-sized models or vape pens (for their pen-like appearance). Mid-sized e-cigarettes are slightly larger and heavier than the minis, but they tend to perform longer and better than their predecessors. 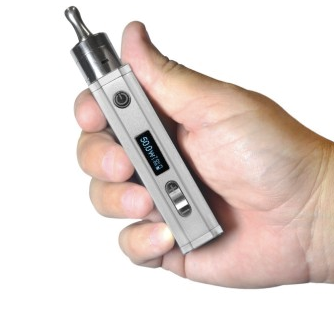 Most vape pens are powered by a manual battery, meaning you have to press a button to activate the heating element. At VaporFi, we design and sell a wide range of vape pens because our customers choose them fortheir blend of both comfort and capabilities. Our line of mid-size e-cigarettes offer greater customizability over vapor production and taste, allowing you to choose from over 30,000 custom e-juice flavors! They also tend to be the most cost effective of all the e-cigarette types. Finally, there are the APVs or Mods. These are the newest members of the e-cigarette family, and became more popularas diehard hobbyists began searching for a device that could offer complete control over their vapingexperience. An APV often looks more like a flashlight (tubmod) or a metal box (boxmod) than an electronic smoking device. Their main attractions to advanced users is maximum vapor production, extended battery life and full customization, but they are also usually more expensive and require complex battery care. VaporFi's VOX 50 MOD starter kit can provide everything you need to get setup with a fully adjustable, advanced e-cigarette that will take your vapor smoking experience to the next level. This powerful device is the pinnacle of e-cigarette technology, featuring adjustable output power, an LED digital screen, temperature protection, an auto Ohm Resistance Meter and loads of other controls that allow you to customize your smoking experience completely. Other popular mods on the market today include the SMOK Alien 220W TC and the Vaporesso Switcher LE 220W Vape MOD, both offering extensive customization options, smart designs, and user-friendly interfaces. Build Your Own Custom Vaporizer! Here at VaporFi, we've taken the idea of customization even further with our custom vaporizer builder. Through our Custom Kit Builder, you get to choose exactly how you want your setup to look, feel and perform. Choose from a smorgasbord of styles, colors, and features to create your perfect vape setup! Visit us online to shop for any of the three types of e-cigarettes, get cool vaporizer gear and accessories, or build your own custom vaporizer from scratch.